Bao Nguyen defeated incumbent Bruce Broadwater by just 15 votes. The results are in! 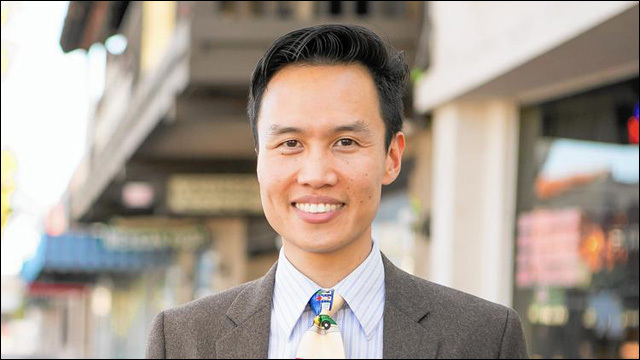 This week, the Orange County Registrar of Voters certified its vote counting from the November 4 election and made it official: Bao Nguyen is the new mayor of Garden Grove, California. Nguyen's historic victory makes him Garden Grove's first Vietnamese American mayor, the first Vietnamese American elected mayor of a U.S. city with a popular larger than 100,000. The 34-year-old organizer, activist and school board trustee defeated incumbent Bruce Broadwater by a more fifteen votes in a highly contested race. So it's no surprise that Broadwater is demanding a recount. "If I were in his shoes, I'd ask for a recount, too," said Nguyen. Nguyen said that it was such a close race because it was a highly contested race. "Folks that turned out were heard," Nguyen said. "I think this shows that there's voters that really want to see change in Garden Grove." When asked about what kind of changes voters want to see, Nguyen said he believes that voters want to see a transparent government that's accountable to the people. "We're a local government; we're not some kind of high court," Nguyen said. "As an elected official, as mayor, I will definitely listen to the people." 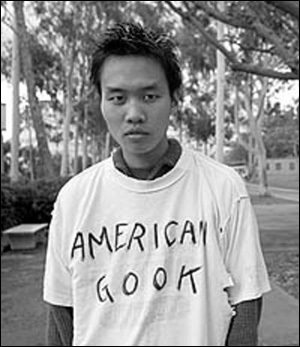 Bonus: check out this badass photo of Nguyen at age 19, as a sophomore at UC Irvine circa 2000, protesting Republican presidential candidate John McCain's long history of repeated use of the racial slur "gook." Hell yeah. This is the kind of politician I can get behind.